What are the top 3 customer experience management solutions? Yotpo emerged at the forefront in our evaluation, with two leading competitors – Qualtrics Customer Experience and xSellco Feedback – following closely behind. All three have many common offerings but there are also distinguishing features that set them apart. 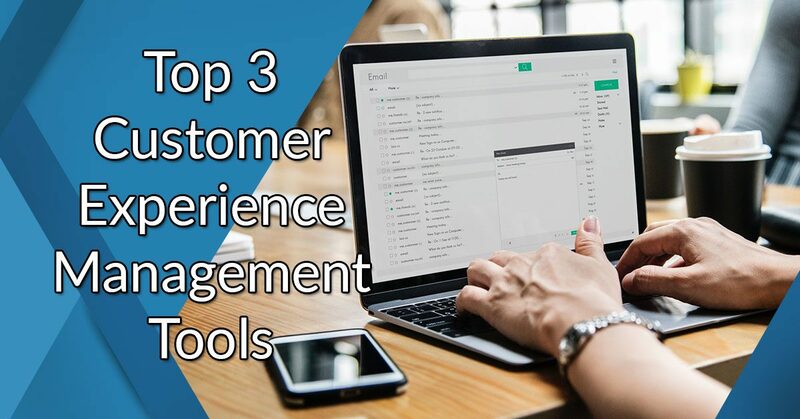 What are the top 3 customer experience management tools? Managing, organizing, and tracking all interactions with customers is facilitated by customer experience management software. Also know as CEM software, it helps businesses optimize customer interaction in order to provide the best customer experience, increase engagement, and strengthen customer loyalty and retention. The software brings with it features and capabilities such as customer management, ticket management, inventory or integrated product database, collaboration, integration, customer self-service, and reporting and analytics. You can check our analysis of CEM software features, types, benefits, and pricing for a deeper understanding of the solution. Why is customer experience management software important in today’s business? Two answers – consistency and responsiveness. In today’s digital and connected world, customers demand fast and dependable service. In fact, 75% of consumers expect consistent experiences across multiple channels and 64% expect companies to interact with them without delay. Businesses better take note because 55% of consumers are willing to pay more for a guaranteed good experience. In the chart above, take note that both B2B and B2C respondents are in agreement in considering customer experience as one of the most exciting opportunities for their organizations. And looking closely, you can see that customer experience relates to or influences all other areas that are listed. Managing CX, which is the specialty of CEM, has now become a prerogative for most businesses. In this article, we’ll give you a comparison on areas that matter of the top 3 customer experience management software solutions in our database. We’ll compare features and functionalities and present respective standout offerings of the CEM platforms. We’ll also present you our verdict so you can make an informed decision. But first, let’s take a quick look at our top 3 customer experience management software solutions. Yotpo is a comprehensive commerce marketing cloud that offers advanced solutions for visual marketing, customer reviews and ratings, loyalty programs and referrals. Powered by smart artificial intelligence (AI) engine, Yotpo makes it easy to collect reviews and Q&A. It enables you to optimize the use of customer content on site and across major marketing channels. With its loyalty and referrals tools, you can build customized, on-brand loyalty & referral programs to incentivize repeat purchase, referrals, social engagement, and content creation. To get a better understanding of how this software works you can easily sign up for Yotpo free demo here. Yotpo is built as a plug-and-play social reviews and e-commerce app that lets you capture verified reviews and gives your customers a simple and smart mobile-first reviewing experience. Its features are process-driven to guide all of your operations towards increasing organic traffic and improving performance of your marketing efforts. The software assists you in keeping track of every customer who has entered your database or expressed interest in your product or service, and follows through after the purchase stage with retention tools to keep customers coming back and buying more. Furthermore, it lets you get more traffic and conversions by seamlessly sharing and distributing content and reviews on social media. Qualtrics Customer Experience is a leading cloud CEM software from the Qualtrics Company. Qualtrics CEM is part of the company’s four core experience management solutions, the others of which are designed for employee, brand, and product. The Qualtrics XM platform is noted for combining radical flexibility with world-class stability so that you can listen to stakeholders, analyze their feedback, close their experience gaps, and manage every experience that matters, all in real time. The vendor offers a great free trial that lets you try out all the key features. You can easily sign up for Qualtrics free trial here. The CEM software’s key features include advanced research, analytics, and a centralized platform with a view of all your channels. Its custom dashboard is intuitive and it provides an overview of your most crucial metrics. It also has ticketing, a structured program, technology-supported workflows, and respondent management automation, among others. With powerful features that provide you an omnichannel view of the customer experience across any digital interaction, as well as predictive intelligence technology that unravel experience drivers and insights from data, Qualtrics makes it possible for you to continually and consistently deliver ahead of customer expectations. xSellco Feedback is an online software that lets you manage customer reviews and feedback from all channels through one platform. You’ll be able to improve your seller feedback and product reviews with automated feedback requests on Amazon, eBay and more, while ensuring you adhere to marketplace criteria every time. It integrates with your online store to increase reviews on Trustpilot, Facebook and Twitter to improve SEO and social proof, while attracting new website customers wherever they are. The vendor offers a great free trial plan that you can use to try out all key features of the software first. You can easily sign up for xSellco Feedback free trial here. Better feedback translates to better sales and xSellco helps you build your reputation across every channel, enabling your to rank higher and sell more as a trusted brand. Its intelligent targeting capability gives you the means to request feedback on the right products, from the right customers, at the right time, allowing you to create the perfect strategy that helps you increase positive feedback, improve your ranking, and stay ahead of the competition. All three solutions have more or less the same core feature – the ability to track and capture feedback from multiple channels – email, SMS, call center, mobile, social, etc. If you’re into ecommerce which most online businesses are, it would be most beneficial to have Yotpo that is designed to optimize your marketing strategies. It specializes in collecting and curating any type of content from social platforms and has tools for SEO, community Q&A, commenting and moderation, and more, to help you highlight customer content in your marketing campaigns, stand out on search and social media, and improve your conversion rates. Qualtrics’ distinguishing feature is its predictive analytics (which is a business intelligence tool) that can automatically run dozens of analysis to reveal deep insights about customer behavior, prioritize key experience processes where you can focus your efforts, and determine CX drivers, among others, to guide you in your business and operational decisions. xSellco Feedback streamlines feedback requests through intelligent automation so you can send smart, selective requests and get positive reviews to boost your seller rating. It fully automates the sending of thousands of requests in minutes so that you’ll have new quality reviews everyday to give you greater value to customers and guaranteed inclusion in listing algorithms. With its pinpoint focus on social and retail, Yotpo offers you seamless integration with 26 ecommerce platforms including Shopify, BigCommerce, and Magento as well as with popular help desk software apps like Freshdesk, Zendesk, and desk.com. It also has partnerships with Google, Facebook, Instagram, Twitter, and Pinterest. The wide reach with ecommerce, shopping cart, and web retail apps together with all top social networks makes Yotpo an invaluable tool for your online business. Transferring data back and forth between Qualtrics and external systems is made possible through an open API. With its built-in integrations, you can connect Qualtrics CEM with some of the leading business and productivity apps such as Salesforce, Tableau, Marketo, Workday, Slack, and Adobe Analytics. In addition, Qualtrics’ professional services team can build custom integration for your specific requirements. xSellco Feedback, by the very nature of its function of sending requests and getting feedback for your online selling business, integrates with the biggest marketplaces such as Amazon and eBay, and the leading online consumer reviews and ratings platform Trustpilot. It also connects to its own xSellco Helpdesk to help you manage your customer support from the Feedback app. Pricing for CEM solutions usually follow the pay-per-usage model offered in subscription-based tiered pricing plans. For xSellco Feedback, usage depends on the number of feedback requests. Its Basic Plan at $49/month allows for up to 5,000 feedback requests/month; Professional Plan at $99/month for 25,000 feedback requests; and Premium Plan at $199/month for 60,000 feedback requests. Plans come with 9 to 11 features and include a 28-day free trial. Meanwhile, usage for Yotpo is based on monthly orders that you realize from your optimized and sales-boosting marketing campaign. Remember, more quality feedback brings about better conversion and more customers. Only two plans are offered – you can start with a free plan that includes 50 monthly orders and about a dozen tools and features. On the other hand, the Premium Plan is offered through custom pricing depending on the volume of monthly orders. The pricing for Qualtrics CEM is quote-based and depends on the features that you’ll need as well as the responses you’ll gather. Pricing for academic institutions is lower than for business organizations. A free plan without time limit is offered but is restricted to one survey at a time, 100 responses for all surveys, and a total of 10 emails sent across all surveys. Yotpo provides comprehensive support in the form of tickets, phone, email, and chat as well as resource-filled help center. It also has a Yotpo university with video tutorials and guides on best practices and software features. Qualtrics offers multichannel support via live chat, email, phone, tickets, and user community. Its knowledge center contains articles, research resources, live trainings, and on-demand webinars. xSellco lets you call, email, or chat with the company’s support team over its five social media platforms. It has a resource center where you can access guides, templates, webinars, and the xSellco community. Yotpo’s online platform features are optimized for mobile, allowing you to send review requests and mobile users to leave requests without leaving their ecommerce app (such as Magento or Shopify) that is integrated with Yotpo. Qualtrics’ Mobile App, which is compatible with both Android and iOS devices, enable you to collect feedback on your mobile app instead of a website. Meanwhile, xSellco offers Android and iOS apps that let you view mobile sales reports and read and reply directly to customers. While all the top 3 customer experience management software solutions share common features expected of applications of this type, Yotpo emerged as the more solid choice when it comes to features, functionalities, and capabilities. It shines through with its ease of use and its prowess that lets you collect any type of customer content so that you can get more reviews, photos, and Q&A with artificially intelligent requests that ensure you ask in the right way, at the right time, every time. Qualtrics and xSellco are also feedback and automation powerhouses that can ably manage customer experience, although from point-to-point perspective and overall comparison, Yotpo stood out as our highly recommended CEM solution.